The Venus Fly Trap is the common name given to a plant that feeds on insects or other small animals. It is one of the most interesting and intriguing plants. 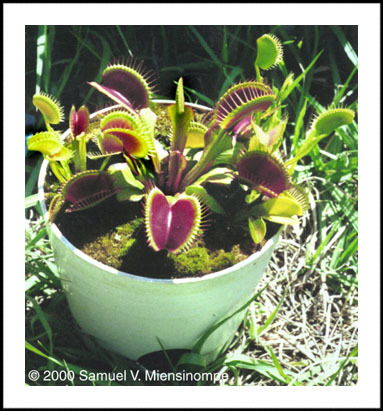 The Venus Fly Trap belongs to the Doseraceae or Sundew Family. Unfortunately these rare carnivorous plants are believe to be going extinct. The Droseraceae classification includes 4 genera (the Dionaea, Aldrovada, Drosophyllum, and Drosera) and over 150 species.